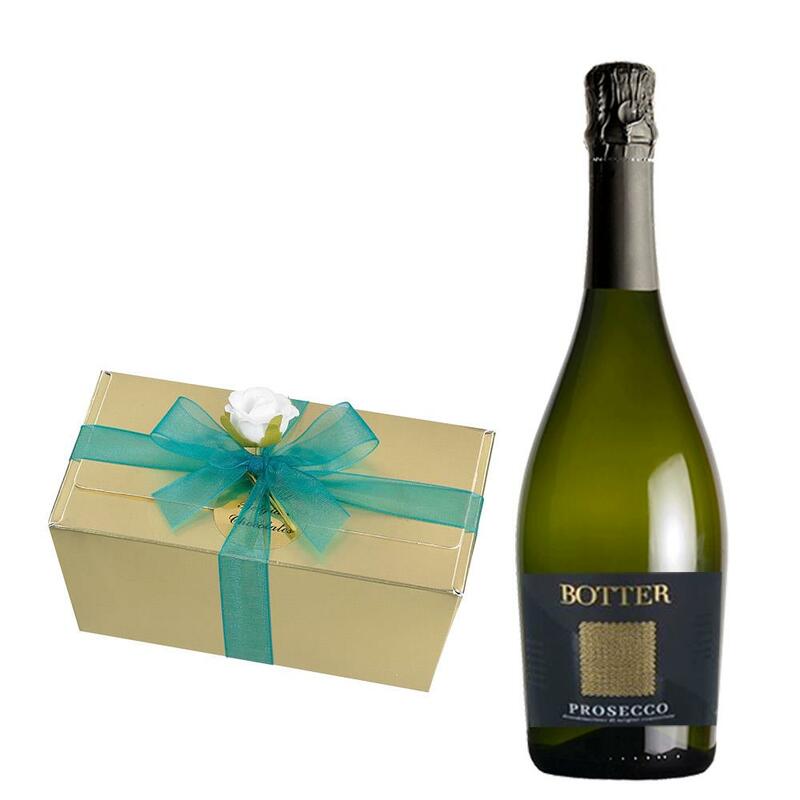 Botter Prosecco 75cl with An indulgent assortment of Belgian Chocolates (460g), filled with a selection of the finest milk, white and dark chocolates, all hand finished using the finest ingredients. Botter Prosecco Pale yellow and gold in colour this Prosecco offers a bouquet of pear drops lemon and melon. Light and fresh on the palate with a clean finish presented complete with eight hand made Belgian chocolate truffles. A great gift option. Price includes free UK Mainland Delivery, and Exports and international delivery available. This product is hand packed onsite by Champers Direct, and is not affiliated with any other brand. Champers Direct is responsible for this product combination/set.